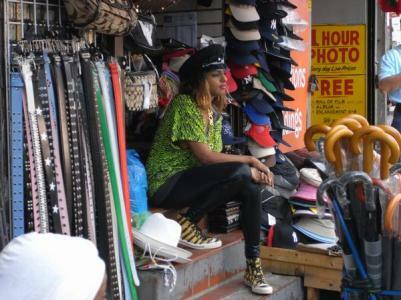 Although not necessarily an MC, M.I.A.’s hybrid of booty bass, world music styles like reggae/dancehall/dub, electronics, and god-knows-what-else has drawn a huge cross-genre crowd. Her concerts usually draw wildly enthusiastic crowds of indie rock kids and hip hop heads who dance and singalong to her tunes. If you haven’t seen her perform, then put one of these shows on your to-do list. This entry was posted in News and tagged M.I.A.. Bookmark the permalink.